Easy and appealing. That's the draw of a vibrating fitness machine; that it will provide fitness benefits from vibration alone. Unfortunately, it is not a shortcut to fitness. 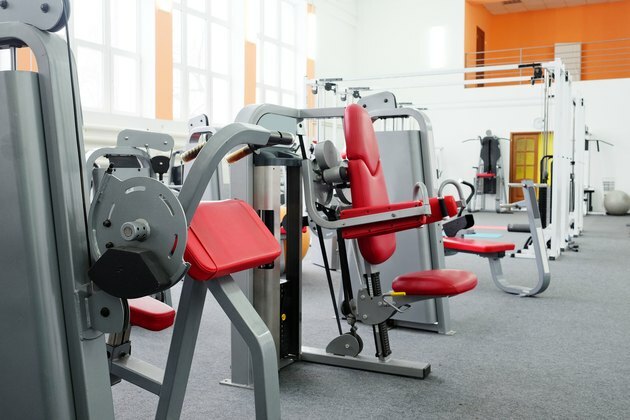 These machines do provide benefits, but those able to engage in traditional exercise should, for best results. The American Council on Exercise recommends that whole-body vibrating fitness routines be used in addition to traditional exercise, not in place of it. What is a Vibrating Fitness Machine? On some vibrating platforms you have the option to sit or stand. The variables are the number of vibrations per second and the depth of vibration. Claims have been made that the vibrations produced by these machines will cause the muscles to contract and exercise them. Elderly adults can see improvement from vibration machines. Bone mineral density can increase in older women who use the machines. Elderly patients also can experience improved muscle strength and balance and lessen the risk of falling. Diabetes Forecast reports on a study done at Artesis University College and the University of Antwerp in Belgium which concluded that vibration training may have benefits for obese patients. In a study of 79 overweight adults, those who used vibration platforms to perform a variety of exercises lost 11 percent of their body weight. In a follow-up, they had maintained a 10.5-percent weight loss. Using the vibration platform properly is very important for good results. Just standing on the platform is not likely to provide much benefit. Exercises like pushups and situps need to be performed while on the platform for optimal benefits. It is helpful to have trained personnel instructing exercisers on good form. ACE Fitness: I Am Hearing a Lot about Whole Body Vibration Training. What Do You Think about This Technology? Are Vibrating Exercise Machines Good for Pregnant Women?